Frederic Remington had already received fame for his paintings and illustrations of western subjects before he ventured into sculpture. 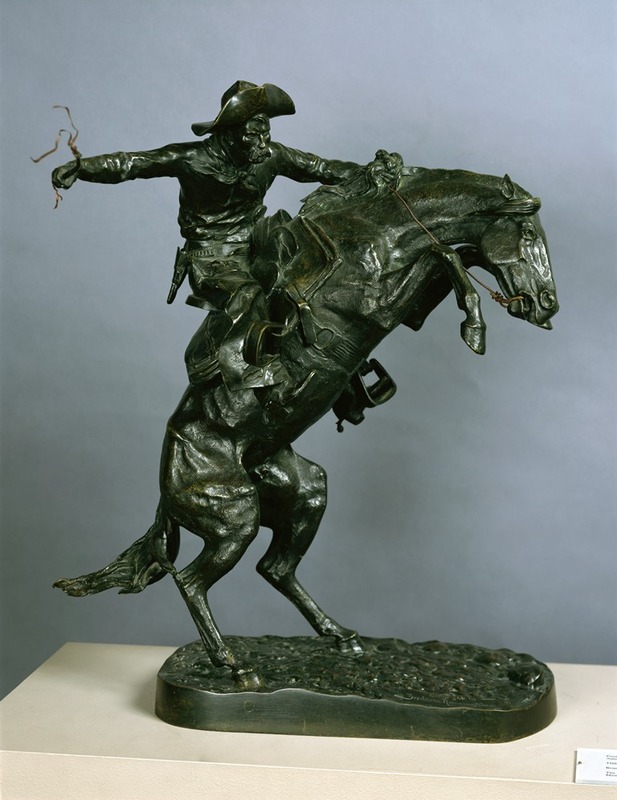 The Bronco Buster, his first three-dimensional work, is also one of his best-known pieces. Inspired by one of his illustrations in Harper’s Weekly, the sculpture captures the energy of the horse and rider as each tries to break the other. The sense of movement is palpable as the horse rears up and the rider quickly balances in an effort to stay on.